- All crystal trays may have a little color difference for each batch from factory. Also there might be color difference, due to the computer screen display differently. Hope you could understand! 1. Please clean the surface with a soft, dry cloth. 2. Slightly to open the package because of the Crystal surface. 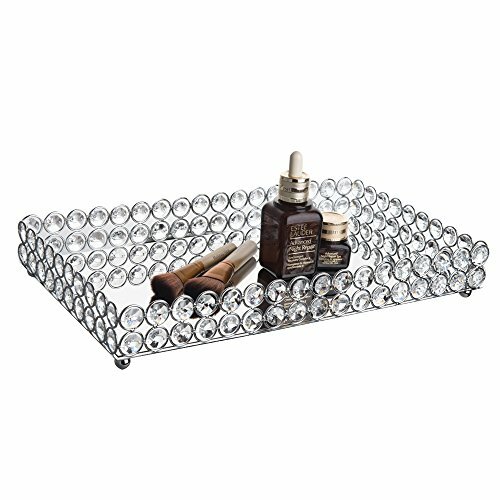 Durable: Organize Jewelry, Vanity, Cosmetic, Makeup Brush, Perfume, Flower vase or Serving drinks etc. Multipurpose: Suitable for Decorating Dresser, Display Jewelry, Serving in the Party, Wedding centerpieces. If you have any questions about this product by Feyarl, contact us by completing and submitting the form below. If you are looking for a specif part number, please include it with your message.